We will be doing Hoop Sisters retreats throughout the year for 2019. 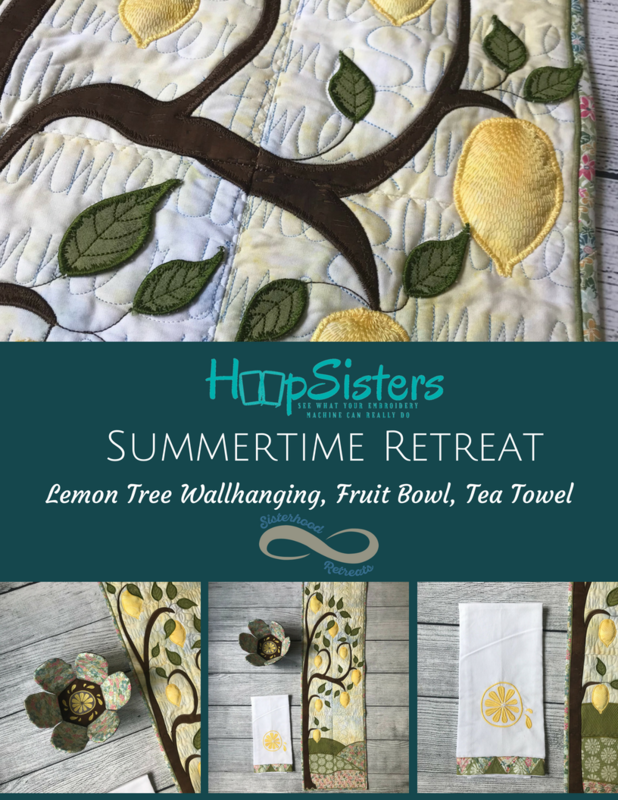 Our summer project Is the Lemon Tea Towel. You will be amazed what your embroidery machine can do. At this class you will receive all the materials to complete the project as well as the embroidery files to complete the other two projects. Snack will be provided.